Please Enter the FONT type you want (picture#2) and pups name and phone number. 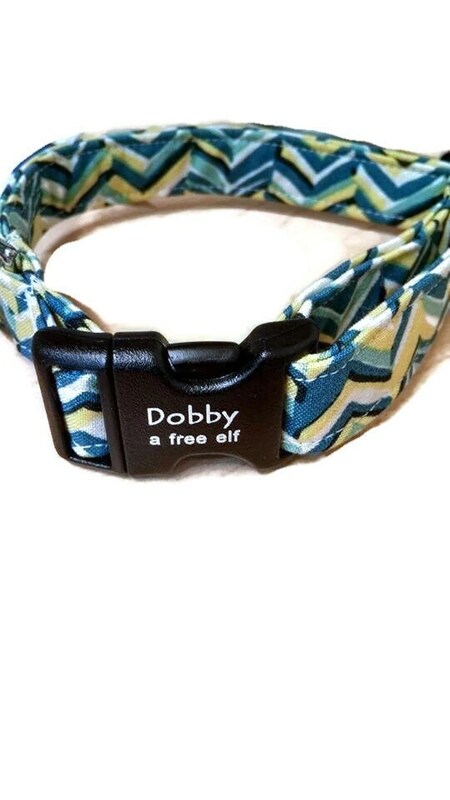 Add a personalized buckle to your pups collar! They come in 5/8" (for xs collars), 3/4" wide (for small collars) and 1" wide (for medium, large and XL collars). You get two lines of information. Variety of fonts available. Please include note in order of the FONT Type (see picture #2) and what you want on the buckle. Personalized buckles will add up to 7 days of production time.